Recently I spoke to a delightful book club. They were interested in my books as well as my writing career. We discussed many things including what they like and dislike in books. As writers we think we know what those are. But, do we really know? 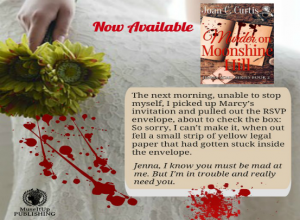 Anachronisms will stop the reader dead in her tracks. This person cited an example of a book set in the 1930’s. The author described the character as wearing stilettos. “I couldn’t keep reading. I knew that women did not wear stilettos in the 1930’s.” The reader blamed the editor for not catching this oversight. Indeed the job of copy editors is to catch glaring mistakes like this, but it’s also the job of the writer to spend time to learn the time period in which they are writing. While writing my first “practice” novel, which I set it in the 1940’s, I spent hours in the basement of our library going through the New York Times microfiche to gain an understanding of everyday life during that period. It was grueling but also enlightening. Our job as writers is to make sure our readers suspend disbelief. Tags. Too many or too few? Today’s writers tend to “under” tag. They do not like the thought of writing he said, she said a million times. Clearly the reader can figure out who is talking. Right? Well… maybe so and maybe not. In my view the pendulum has swung too far in the other direction. We tend to leave out tags. I can’t tell you how many books I’ve read where I’ve had to back up to see who was talking. Sometimes I can’t ever figure it out. We don’t want our readers to do that. Indeed, too many tags is equally distracting. But, the readers told me they’d rather have too many tags than too few. How about that? That was an enlightening comment for me! Backstory, yes or no? Like it or not readers love backstory. Many of us have been told to limit the backstory. I learned when I spoke to this group, they are curious about our characters. Where did they come from? How did they manage to get in this fix? Nonetheless, they do not want a backstory dump. We must weave the past in gently, but we cannot ignore it. Your characters must grow. If you write a series character, this is especially true. One of the readers cited Sue Grafton. “I had to stop reading her books because her main character did not change after many, many books.” These readers talked about how much they appreciate seeing the changes in a character–whether from the beginning of a book to the end or from one series book to another. Don’t leave your characters in the Twilight Zone with one little black dress that they’ve worn through twenty books. Signal time changes. “Please help us figure out what’s going on,” one reader said. This comment was suggested for both time changes and for point-of-view (POV) changes. If your book moves from past to present or from present to future, readers want to know what’s going on before they get half-way down the page. They like to have dates as chapter headings. I know we hear that agents and editors prefer that you make this clear in your writing, but readers don’t like to be left guessing. As for point-of-view changes, that’s another place where readers prefer to know who is the primary POV, particularly if you change point-of-view in each chapter. I’ve seen many books that name the chapters by the character whose point-of-view they are writing in. One reader said, “Help us out a little.” Indeed, we must. When I wrote the Clock Strikes Midnight, I was told not to name the chapter by the character. Instead, though, each first sentence named the character. When I went back in time with the mother’s point of view in one section of the book, I added the dates. These are a few tips I learned from avid readers. It was fun listening to these people. It let me know, we must hear from those people who pick up our books and take the time to read them. 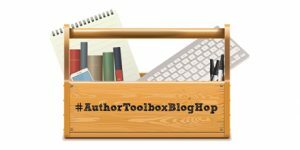 This post was part of the #AuthorToolBoxBlogHop. Take a look at the tips and good information from other authors in the hop. They talk about everything from the craft of fiction writing to how to market your book in today’s world of social media. Enjoy! Anachronisms are my pet hate as a reader, so that’s one thing I’m always careful to check when I’m editing historical fiction. Thank goodness for dictionaries with dates of first use, and Google Ngram Viewer! Indeed anachronisms are annoying and can stop a reader dead in their tracks. Many editors are young and have no idea what things looked like even twenty years ago. Too much backstory makes me stop reading a book. I like backstory if it’s related to the plot, but a full character history can be too much. The talent for the writers comes with knowing when to include backstory and when not to. It’s a hard balance to find. Hey Kristina, Thanks for stopping by. I agree that too much backstory does slow down the reading. But, I wonder if we might be going in the opposite direction by not having enough for readers to relate to our characters. That’s the challenge we writers face. I really liked this post. It’s amazing how readers’ likes and dislikes are sometimes in conflict with what writers have been taught or have learned over time. We stress too much over backstory, but there are clearly places for it (albeit not the first chapter). I read my manuscripts aloud fearing too many tags, but ripping them out can confuse the reader. It’s all a careful balance between giving the reader credit wanting to figure it out on their own and making it easier for them to follow. Indeed, DR, the challenge of finding that balance between what readers need and what editors tell us to do! Thanks for stopping by. Glad you liked the post. Great post! As a reader, I also love backstory, but as a writer I hear, like the rest of us, to limit it, and I struggled with this for a specific project for years. I believe the backstory is now at a good balance for readers who love it and editors/agents who don’t. I remember when the “rule” went around to use less dialogue tags. I do cut out a few tags here and there, but they are crucial for readers to know who is talking if there’s no other indication. This is a great example for why writing “rules” aren’t always right. Hi Chrys! I love what you are saying about “writer rules.” Indeed, the best rule is to put ourselves in the place of our readers. Thanks for stopping by. Most of these seem to orbit around the central issue of “being confused” as the reader. Whether it’s confused about who’s talking, confused about time and/or place, or confused about whether the character is an unfeeling unchanging robot (without a past or future). I think there is room for a character to remain unchanging, to an extent, but if a story runs long enough (in diegetic time and in word count), it does stand to reason that the character will change, at least in small ways. We’re just not made to “stay the same”. What I really like is when stories reveal a character’s past without bluntly stating or using a flashback. For example, in the film So I Married an Axe Murderer, a lot of character history is hinted at in the skills the characters demonstrate; speaking a second language, revealing uncommon or unusual skills or knowledge, etc. I really enjoyed imagining what kind of past would or could connect these diverse details. We certainly don’t want our readers confused. That’s what will prompt them to give up. Today’s readers do not have the patience of readers of the past. I can’t imagine the readers who read Trollope or Faulkner. Ha! I suppose they had more patience that 21st Century readers. This is great advice, Joan. Thanks so much! I agree that writers need to have only as much backstory as needed to make the PRESENT story make sense to the readers. As writers, we need to create a backstory to explain why our characters do what they do. Hi Victoria, Thanks for stopping by. The trick we have to figure out is how to share the backstory in new, creative ways. Great advice from readers. I know as a reader I agree with them wholeheartedly about all the points you listed. As a writer, I struggle to find the balance (too many tags, too few, too much backstory, too little), but I think after a couple versions I manage it. Now I just need to understand it well enough that it doesn’t take as many drafts. 😉 Thanks!